An unorthodox 1971 Western dream-drama by Robert Altman (Nashville), McCabe & Mrs. Miller is one of the most radically beautiful film to come out of the New American Cinema that transformed Hollywood in the early 1970s. The film stars Warren Beatty (The Fortune) and Julie Christie (Don’t Look Now) as an enterprising gambler and a bordello madam, both newcomers to the raw Pacific Northwest mining town of Presbyterian Church, who join forces to provide the miners with a superior kind of whorehouse experience. The appearance of representatives of a powerful mining company with interests of its own, however, threatens to be the undoing of their plans. 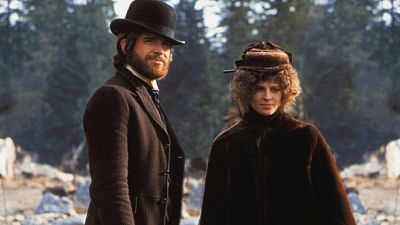 With its fascinating flawed characters, evocative cinematography by the great Vilmos Zsigmond (Blow Out), and soundtrack that innovatively interweaves overlapping dialogue and haunting Leonard Cohen songs, McCabe & Mrs. Miller brilliantly deglamorized and revitalized the most American of genres.